Loved the overall story line! Loved that the single mom kept her feet on the ground and was level headed about real life situations! Narration was spot on! 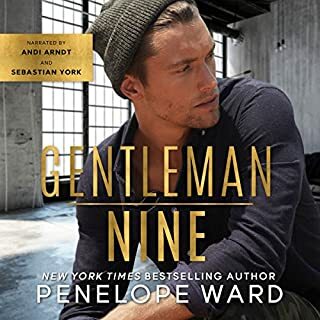 Andi and Sebastian are an amazing power couple that know the book and feels before jumping into narrating!!! 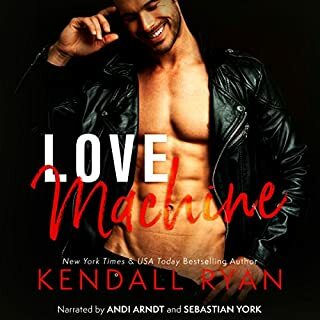 Normally I really enjoy Kendall Ryan books, but this one fell flat for me. Not even the amazing Sebastian York and Andi Arndt could make this an enjoyable book for me. There were several times I almost considered not finishing it, but once I commit to a book I try to finish it even if I'm not that into it. I really enjoyed Zach, I thought his character was great. The actual storyline and plot was a good concept. What ruined this book for me was Poppy. She was a 24 yr old single mother to a 7 year old child, but the amount of immaturity she exuded dealing with her feelings for Zach were astounding to me.. They were actions I would expect from her seven-year-old son. The way she treated him was so frustrating. She just kept stringing him along like she was playing with a yo-yo. Then everytime she would change her mind and tell him they couldn't be together, he would try and move on with his life and accept the fact that they weren't going to be together and then she would get all mad at him and throw a fit that he wasn't paying enough attention to her...seriously woman???? You just kicked him to the curb for the third time, he decides to go out on a date with someone else and you throw a childish hissy fit stomping your foot like how dare he move on. Totally ridiculous. Had she not been so immature and childish the book would have been better, but she just ruined for me. Ok, let me start with- OH. MY. WORD! Zack is so flipping drool worthy i want to cry. I was totally in love from the 1st scene. I loved the story- the characters- the writing- The whole F'n book! Kendall Ryan smashed this one! I couldn't put it down~ A must read! Narration was A. MAZE.ING! The voices- the acting- all of it. I was completely immersed the whole time and loved every minute of it. Thank you Thank You Thank you! 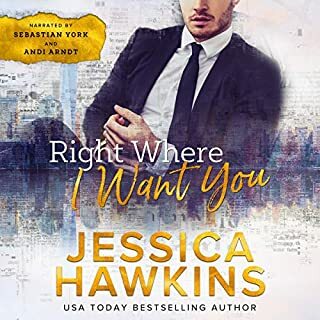 First how can you go wrong with two amazing narrators like Andi Ardnt and Sebastian York? They are two of the best in the business. And throw in an awesome story by Kendall Ryan well, you got perfection right there. I’m deemed speechless by this book. XO, Zach had me sighing happily. Zach is the perfect man. A little dirty, good with his hands, well equipped (wink wink) and a heart fulled with poetry. Even with all that, he had his work cut out for him with Poppy. Poppy’s resistance had me obsessed with this story. I had to know how Zach would break down her defenses and win her heart. What would make her finally give up her heart? I can’t find the words for how much I loved this story. All of it was perfect. The story, the characters, the humor and heart. It all made me a happy Reader Girl. It wasn’t bad but it wasn’t awesome. It was a little too perfect. Everything worked out soooo well and the only conflict was in her head. And... seriously? How could she not know who wrote the letters. It was an unnecessary extra thrown in that just frustrated me. The story is unique but it just wasn’t complex enough to be interesting. Also the relationship with her parents felt off. One minute she’s bad-mouthing them and the next her mom is totally in sync with her - it felt a bit childish. I did like the characters and the story as a whole. The first few chapters were great but I just got bored and had a hard time staying focused. 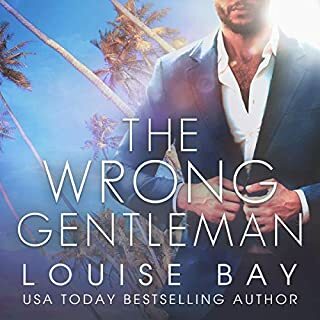 If it were in the romance package, I’d recommend this as a quick, light read but wouldn’t recommend using a credit. York and Arndt were amazing as usual. Kendall Ryan’s Best Book Yet! XO Zach starts of with the main characters, Poppy and Zach, at the same party where they meet when Poppy asks Zach if he will pose as her date since her ex is at the same party with his new girlfriend. They end up sharing an amazing kiss, Zach wanting to see more of Poppy but her telling him that it isn’t a good time for her to be dating. She tells him if it’s meant to be they’ll see each other again. 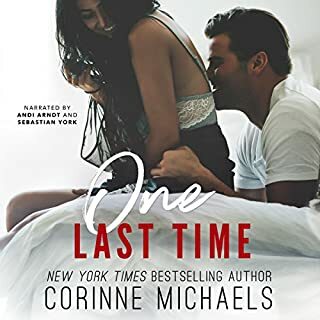 It must be meant to be as Monday morning she meets with her new - off limits - academic advisor who turns out to be Zach. 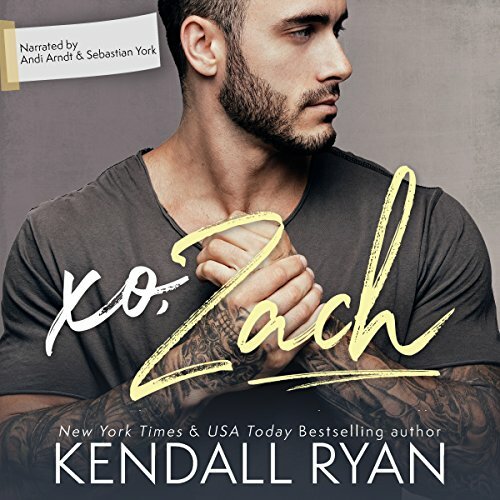 XO Zach has the steam (and fun dirty talk) that you come to expect from a Kendall Ryan book but it also has a whole lot of heart. 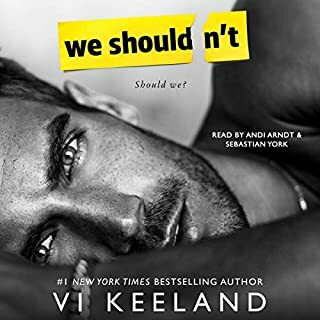 I liked that this book was more of a slow burn and we got to know Zach and Poppy and the people in their lives really well before they fully got together. The tension and build-up between the characters is great! I have to say though that Zach’s mother stole every scene she was in making her one of my favorite characters. Andi Arndt and Sebastian York are wonderful in this. They always bring a top notch performance to anything they do and this is no exception. I find that I am fully engaged and present while listening to each of them and their portrayal adds another layer in bringing a story to life. They are able to make you feel their characters and are two of my personal favorite narrators. I really enjoyed this book! 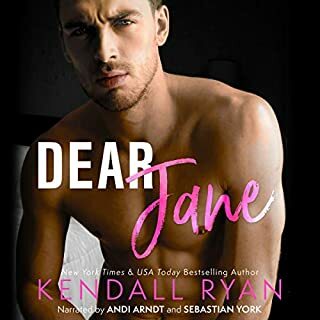 As the headline says it is my favorite book by Kendall Ryan yet. 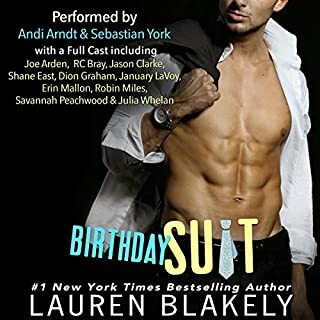 If you are looking for a fun, steamy, sweet, funny and endearing read/listen this is the perfect book. It had me smiling a lot, laughing a lot and swooning just the right amount. I highly recommend it! since I read the book I enjoyed, now in audio I could enjoy it again. 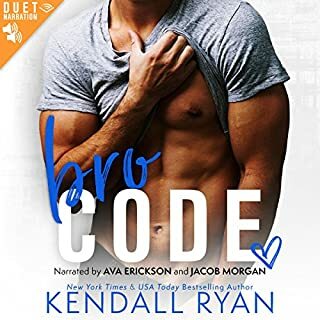 This was my first Kendall Ryan book and it will not be my last. I absolutely loved this story. The plot and characters were something that stood out for me and were different than what I had been reading lately. Can't wait to read more from this author. I bbn loved this story. I have listened and read many of her books and been mostly pleased but these characters reached me deeper than all the others. The narration was the highlight and the story is very sweet. I would have like a little more story with the kid and and a little more dirty talk the I would have loved it.